The latest reviewed version was checked on 30 December 2018. There are 5 pending changes awaiting review. Pay special attention to devices with an orange background, you need to be able to describe exactly how they work! A mouse is a pointing device used on the screen of a computer. Enables the user to execute commands or issue instructions to the computer by controlling a pointer on the screen. The keyboard is one of the most popular ways of inputting data information and instructions into a computer. The basic mechanical keyboard relies on springed keys being pressed down to complete an electrical circuit. This circuit then transmits a binary signal (commonly using ASCII) to the computer to represent the key pressed. Stylised cross-section of a Chiclet keyboard (there are other technologies out there used to make keyboards). The bottom right hand button has been pressed, completing the circuit shown in red. There are variations QWERTY keyboard with the UK and the USA having very slight differences in layout. There also variations in English language keyboards such as the Dvorak layout, which followers claim to be superior to QWERTY. Microphone connected to software that converts human speech into commands or text. The image sensor is made up of an array of Red, Green and Blue photosensors, called a Bayer filter. Each sensor will only record values for that particular colour. 4. Once the RGB values have been captured, they can then be stored digitally using SD or compact flash cards. Save formats include JPEG or TIFF. Used in scanning printed or written text into a digital format. Used by Amazon and Google to scan books. Used in bank cards, often known as part of 'chip and pin'. More secure than Magnetic stripes though more expensive to produce. A smart card. The 3 by 5 mm security chip embedded in the card is clearly visible on the left hand side. The contact pads on the card enables electronic access to the chip. Used to read data without physical contact. Examples include the London Oyster Card System. Where the card has a Radio Frequency Identification(RFID) chip. A damaged card, revealing the microchip in the lower right corner, and the aerial running around the edge of the card. Oyster card readers on London Underground ticket barriers at Canary Wharf. More and more devices are relying on touch technologies. Used in the design and architectural industries. This allows for people to draw on the tablet in a natural way (as they would with a pencil and paper) and for their drawing to appear on the computer. What input device might a multi-choice questionnaire writer use to input completed forms into a computer. Why? Why might it beneficial for professional photographer to use a digital camera instead of a film camera? Give two benefits of using RFID cards to pay for produce over using hard cash. What is a draw back? Give a benefit of having a touch screen phone over a phone with a hardware keyboard. Why might some people prefer a hardware keyboard? Several of the scanners featured here record biological (bio) measurements (metrics) about human beings. Physical data such as finger prints are unique to each person. Flat bed scanners are used to convert images and text into a digital format. The ridges and troughs on a person's finger and toes are unique to that person. 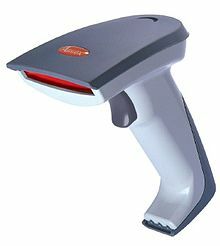 Using a scanner a finger print pattern can be recorded and compared to others on a database, allowing a computer to match finger prints from crimes to a suspect, or to allow people into restricted areas. Retina scanners are used to record the pattern of blood vessels at the back of someone's eye. As everyone has different pattern of vessels, retina scanners can be used to uniquely identify people. Add the digits (up to but not including the check digit) in the odd-numbered positions (first, third, fifth, etc.) together and multiply by three. Add the digits (up to but not including the check digit) in the even-numbered positions (second, fourth, sixth, etc.) to the result. Take the remainder of the result divided by 10 (modulo operation) and subtract this from 10 to derive the check digit. For instance, the UPC-A barcode for a box of tissues is "036000241457". The last digit is the check digit "7", and if the other numbers are correct then the check digit calculation must produce 7. To calculate the check digit, take the remainder of (53 / 10), which is also known as (53 modulo 10), and subtract from 10. Therefore, the check digit value is 7. Correct! To calculate the check digit, take the remainder of (5 / 10), which is also known as (5 modulo 10), and subtract from 10 i.e. (10 - 5 modulo 10) = 5. Therefore, the check digit value is 5. If the remainder is 0, subtracting from 10 would give 10. In that case, use 0 as the check digit. Did the following barcode scan correctly: "01234567890 6"? To calculate the check digit, take the remainder of (85 / 10), which is also known as (85 modulo 10), and subtract from 10 i.e. (10 - 85 modulo 10) = 5. Therefore, the check digit value is 5. Therefore the check digit given, 6, shows that the code is incorrect. Why do we use check digits?